CPCCWHS1001 - Prepare to Work Safely in the Construction Industry, also known as the White Card Course. Read below for full course details or click the Register Now button to get started. CPCCWHS1001 - PREPARE TO WORK SAFELY IN THE CONSTRUCTION INDUSTRY ONLINE - ONLY $55! 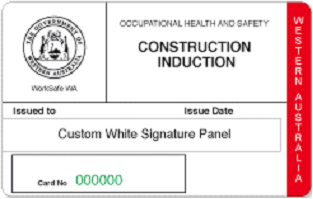 WorkSafe Approved White Cards The White Card is a legal requirement for any work to be conducted on a constrution site. 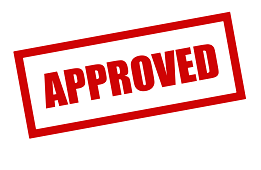 Our White Cards are WorkSafe Approved for the following States: VIC, NSW,SA NT ACT, WA, QLD, TAS. Your White Card will be issued by our registered training organisation (RTO). Our pass rate is 100%, You can Train Today and Be Working on Site Tomorrow for only $55. Our Training Is Worksafe Approved. 100% Pass Rate! - Nothing To Lose! Average Time to Complete is 6 Hours! Our Online White Card Course is valid in all states of Australia: Victoria, Western Australia, ACT, Tasmania, New South Wales, Queensland, South Australia, Northern Territory. 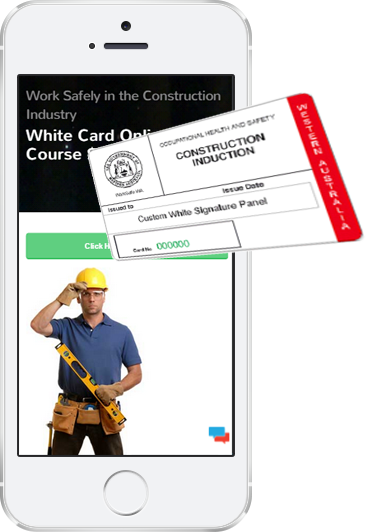 The Construction Inducation course is sometimes known as the "Victorian Red Card", "WA Blue Card" or the "White Card".